By Craig | November 28, 2018 | This post may contain affiliate links, which means we may receive a small commission, at no cost to you, if you make a purchase through a link. Read our Disclosure. 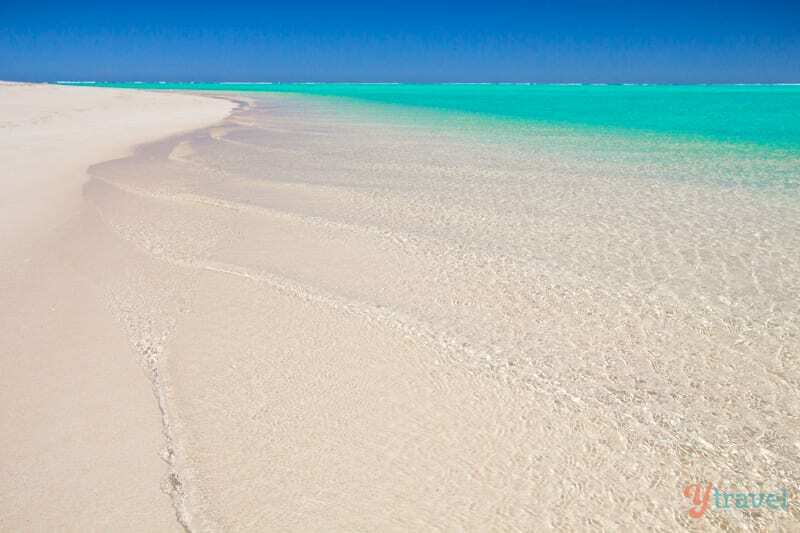 Exmouth is a town on the Coral Coast of Western Australia, a 15-hour drive north of Perth. Shortly after arriving in Exmouth we bumped into someone who grew up in our hometown in NSW and who had also been traveling around Australia. They’d stopped in at Exmouth during their travels to work for a while and ended up staying permanently they loved it that much. 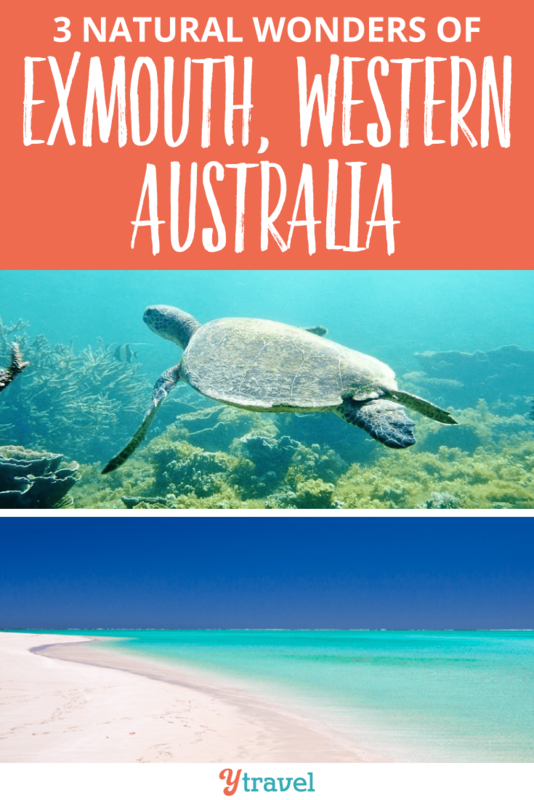 Our expectations were already high, mainly because this town is located on the doorstep of world famous Ningaloo Reef, a reef we were told by many other Aussies to rival the Great Barrier Reef. We’d just spent the previous 5 days hiking in the hot but incredibly beautiful inland gorges of Karijini National Park and were so ready for a coastal change. And Exmouth and the surrounding region didn’t let us down. 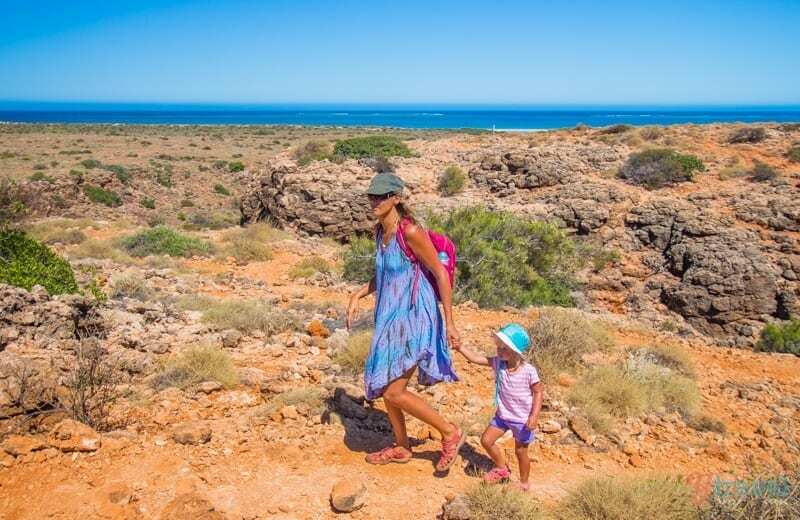 Ningaloo Marine Park protects Ningaloo Reef – Australia’s largest and most accessible fringing reef that stretches 300 kilometres – and is just a stone’s throw from Exmouth. 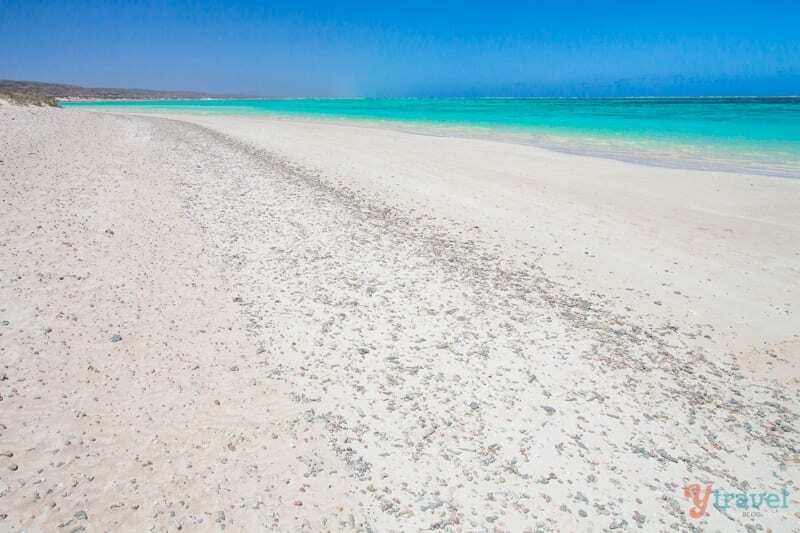 Experiencing Ningaloo is one of the top things to do around Exmouth and why most people come to town. And when they say accessible, they mean accessible! 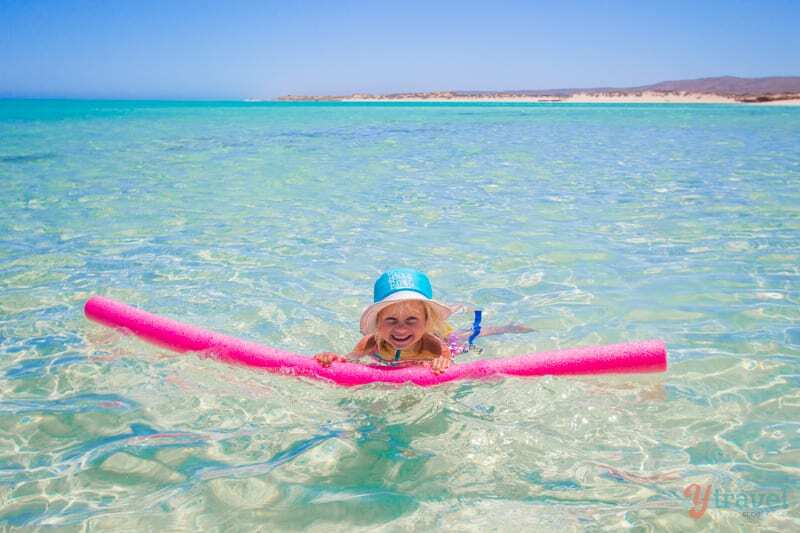 “The awesome thing about Ningaloo is the easy access, you can just walk in off the beach and be snorkeling 10 metres from shore. No 60-minute high-speed boat rides like the Great Barrier Reef”. Because we were spending a week in Exmouth we finally decided to purchase our own snorkeling equipment from Tackleworld. The guys were super friendly and helpful and had us kitted out in no time. 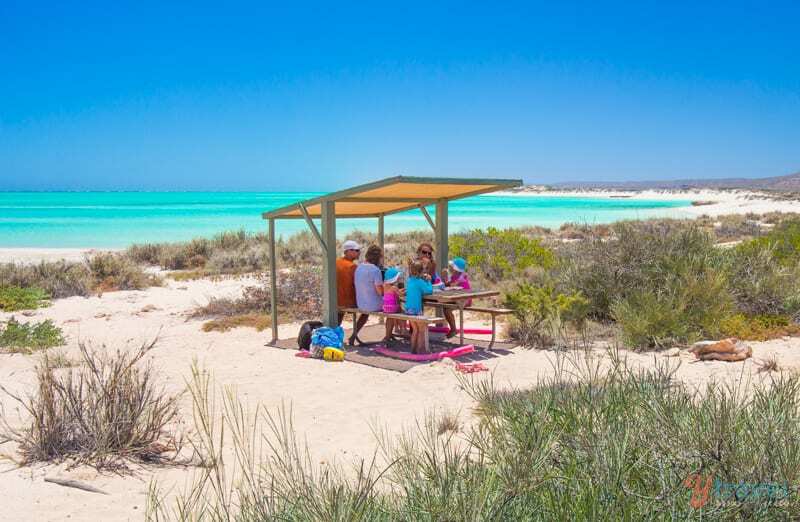 Instead of camping in Cape Range National Park, we had decided to base ourselves in town in a holiday home and drive in and out each day to the amazing snorkeling spots on offer, just over an hour away. 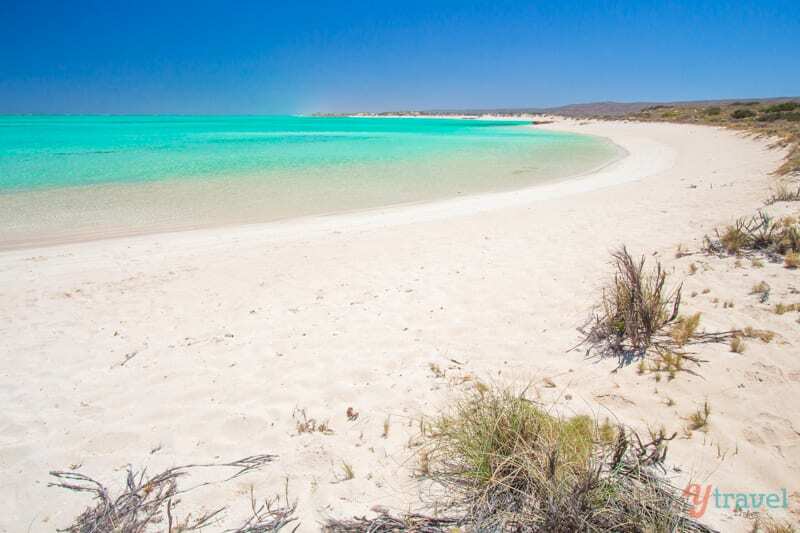 When you dive into the waters of Turquoise Bay you’re swimming within metres of Ningaloo Reef. The “Bay” is brilliant for swimming, snorkeling or just relaxing. 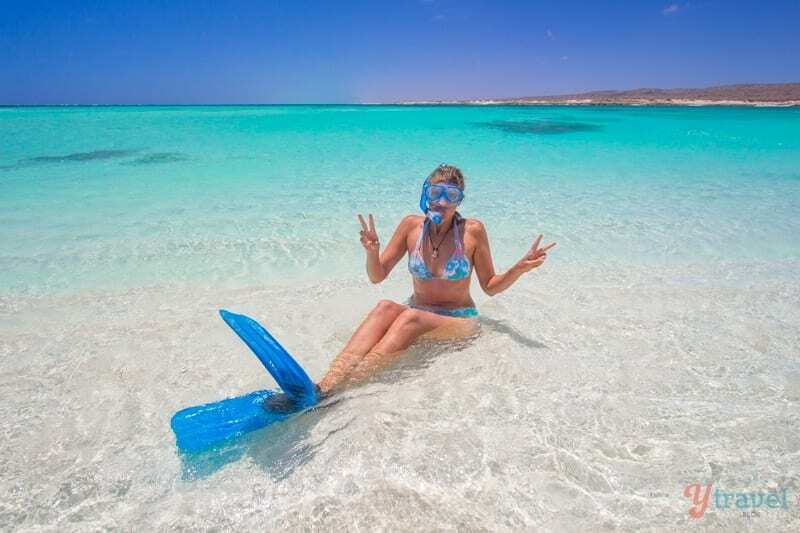 Besides the Bay, try your hand at the popular drift snorkel, one of the coolest snorkeling experiences you can have in this area of Ningaloo. Either park at the “Drift” car park for direct access, or park at the “Bay” car park and walk about 300 metres south on the beach. Swim out a few metres and let the current carry you north, just make sure you exit before the sand bar which is prone to strong currents! Looking for paradise? We found it at Sandy Bay. 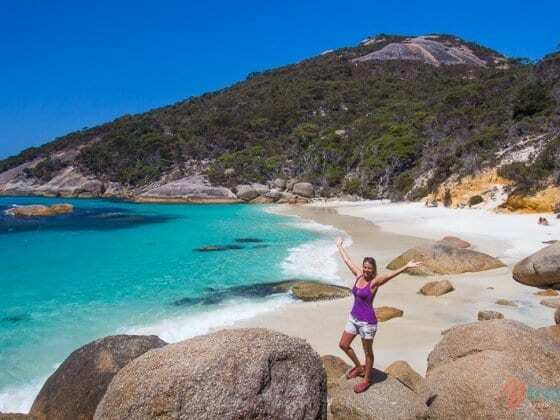 This beach made our list of 38 best beaches in Australia for good reason! 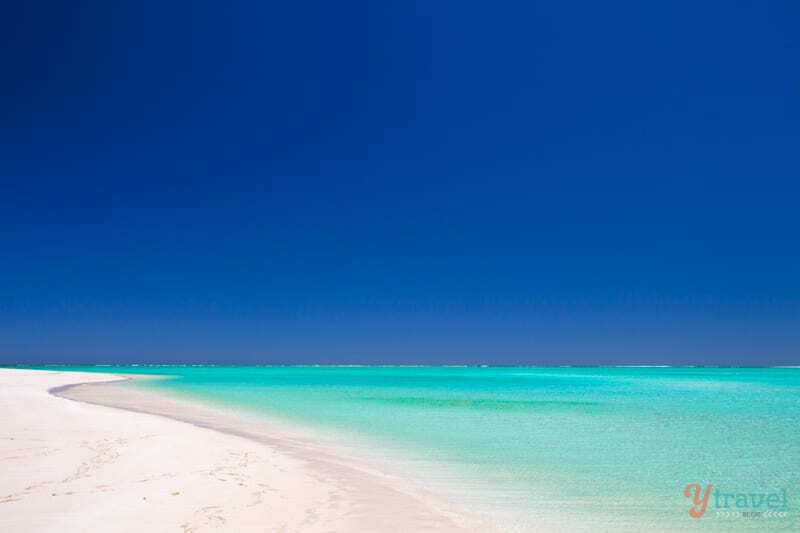 Endless white sand, crystal clear water, dark blue skies. The shallow waters of Sandy Bay made it an excellent beach for our kids, and when the wind is right apparently it’s a popular place for kite surfers. 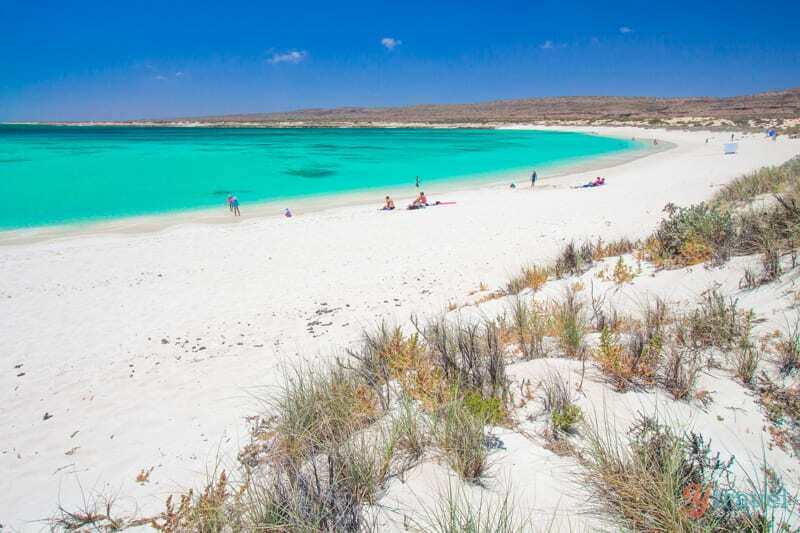 We didn’t snorkel as much here as at Turquoise Bay, but grab your towel, your snorkeling gear and be prepared to be wowed. There’s a picnic table with shade with prime positioning overlooking the beach for a lunch break or brekkie, or just as good is grabbing a spot on the sand (there’s plenty of space) for a few hours. Bring your own shade! Oyster Stacks – great for fish life and best accessed on a high or incoming tide. Enter the water at the end of the walking track and snorkel either north or south. Lakeside – great snorkeling spot for swimmers of average fitness. From the carpark walk 400 metres south along the beach to the marked entry point. 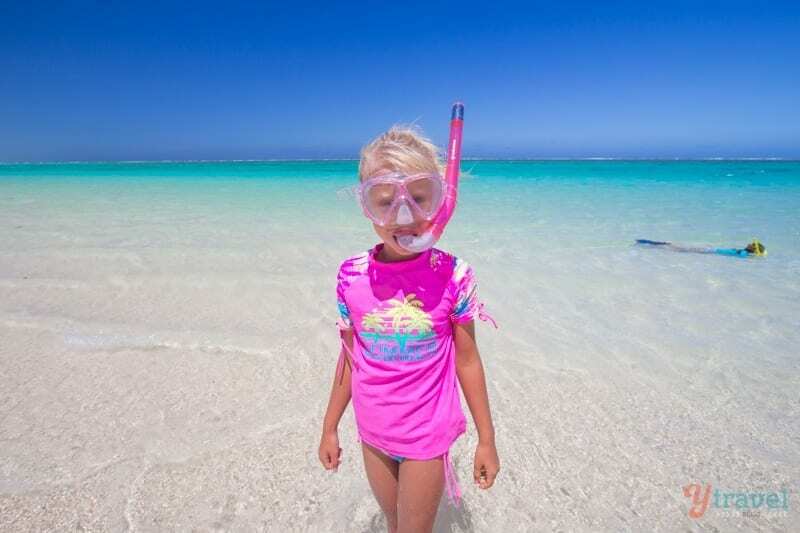 Snorkel out in a northerly direction for 150 metres before returning to your original entry point. We don’t dive, but our friend Janina from 1770 Liquid Adventures worked at Exmouth Dive Centre a few years ago and says if you get a chance to go diving, do the Navy Pier dive. One of the BEST dives you’ll ever do. 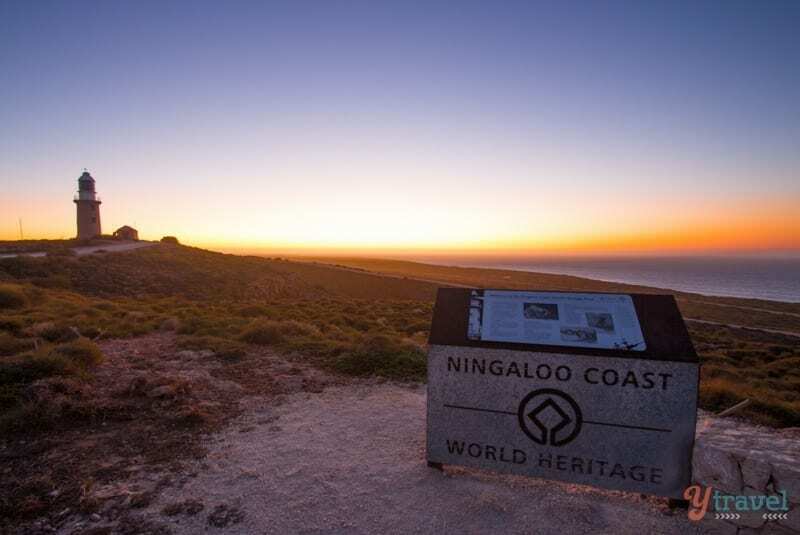 For a spectacular view of Ningaloo Reef and to witness another famous Western Australian sunset, grab some nibbles, a bottle of wine and some beers and watch the sun go down at the Vlaming Head Lighthouse. And if you visit at the right time of year you could even be lucky enough to spot humpback whales migrating south. 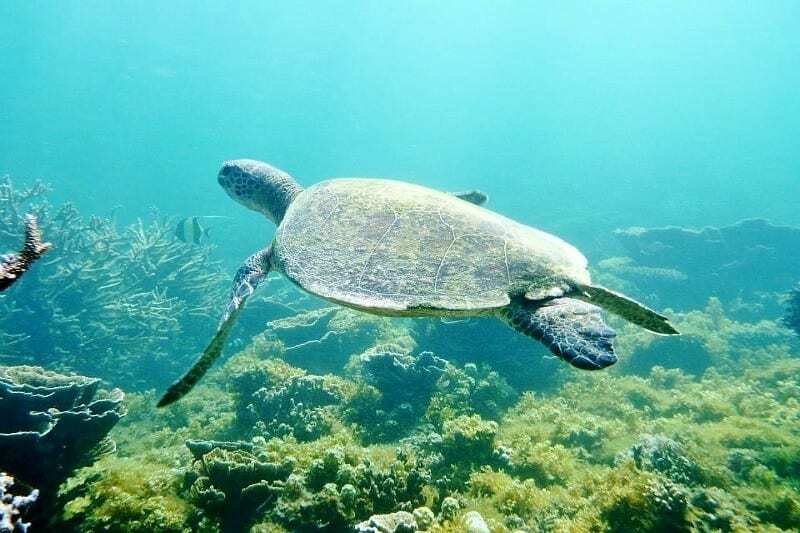 Sea turtles can be encountered on the Coral Coast all year round and hatchlings may be sighted during turtle nesting season between November and April. 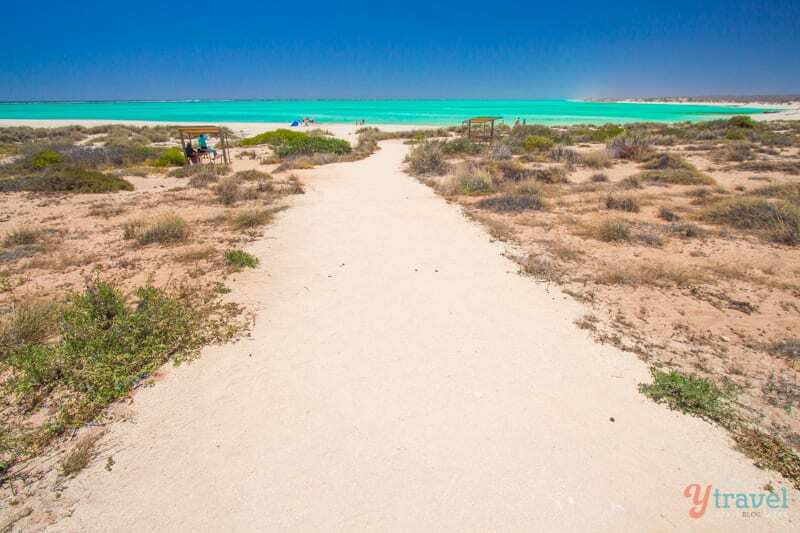 Green turtles, loggerhead turtles and hawksbill turtles nest on mainland beaches adjacent to Ningaloo Reef. 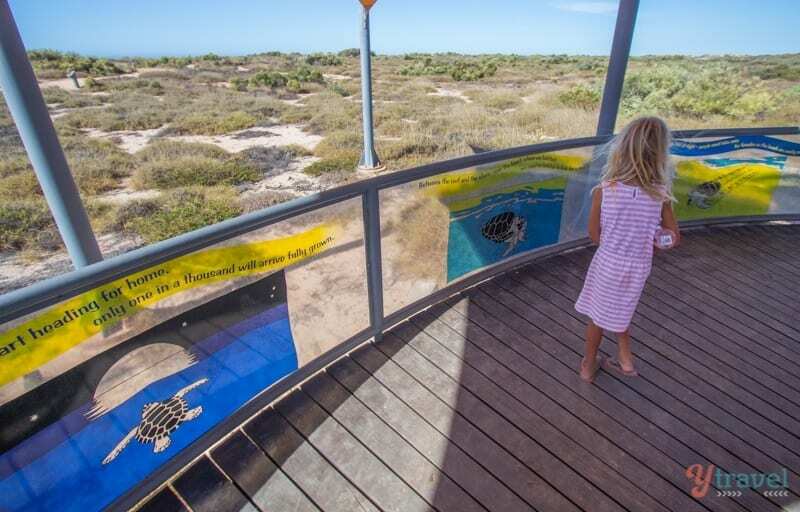 Located 13 kilometres from Exmouth the Jurabi Turtle Centre is an interpretive educational facility to help manage turtle-visitor interaction and minimise disturbance on nesting marine turtles along the Ningaloo coast. If you would like to view nesting turtles I recommend you visit the turtle centre and participate in a guided experience. 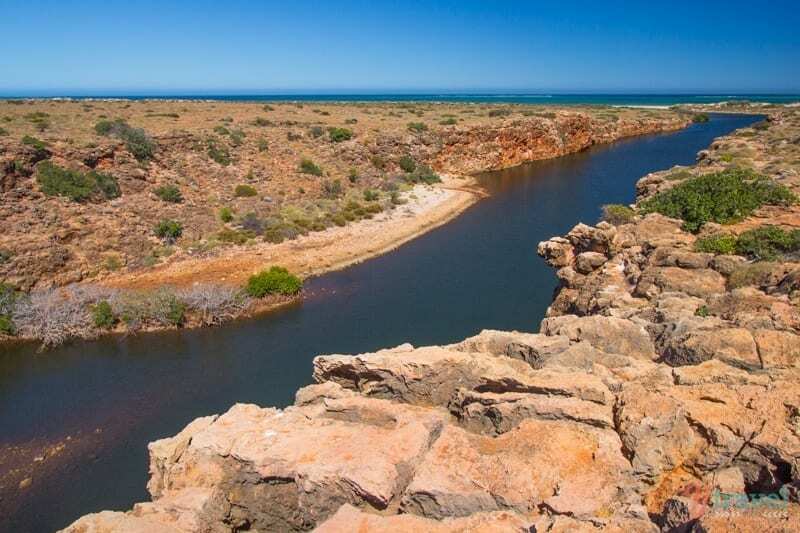 You enter Cape Range National Park when driving from Exmouth to the above-mentioned snorkeling spots, its northern boundary is just 40 kilometres from town. 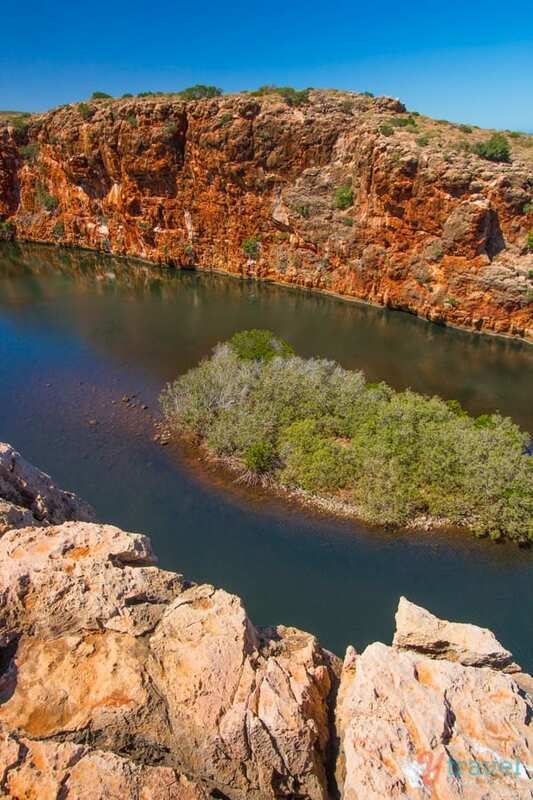 It’s a spectacular park of rugged limestone ranges, deep canyons and 50 kilometres of incredible beaches, including our favourites Sandy Bay and Turquoise Bay! 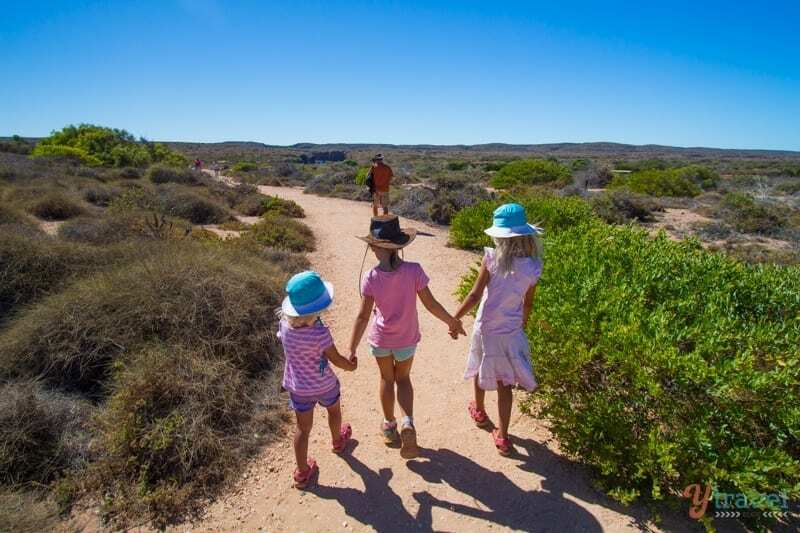 Make your first stop the Milyering Visitors Centre located in the heart of Cape Range National Park and chat with the staff to get some great insider tips. The centre features interpretive information with videos, models and graphic displays to help make your visit informative. 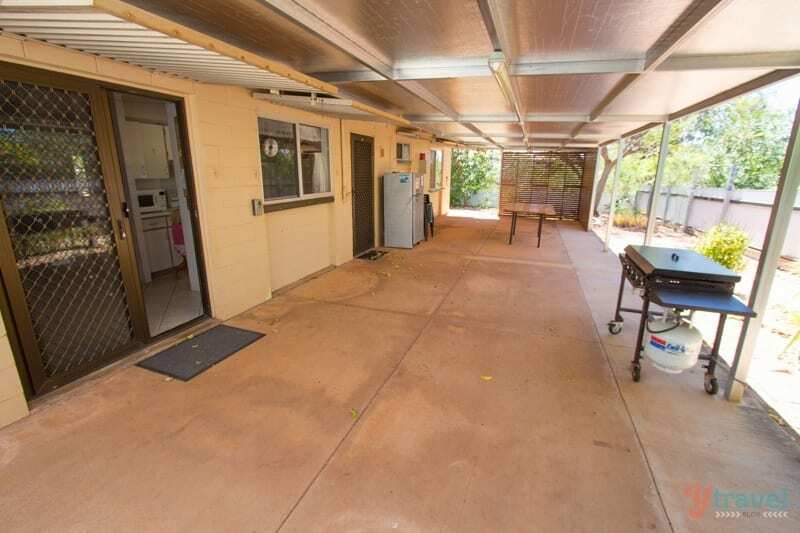 It’s also a handy bathroom break once you’ve driven the 52 kms from Exmouth. 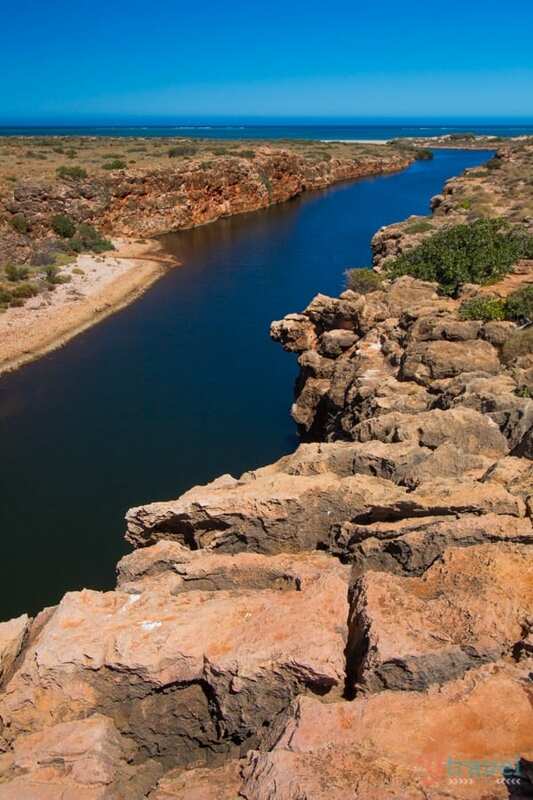 Drive to the end of the sealed road in Cape Range and you get to Yardie Creek where you can explore the spectacular gorge either on foot via walking trails or on a Yardie Creek boat tour. 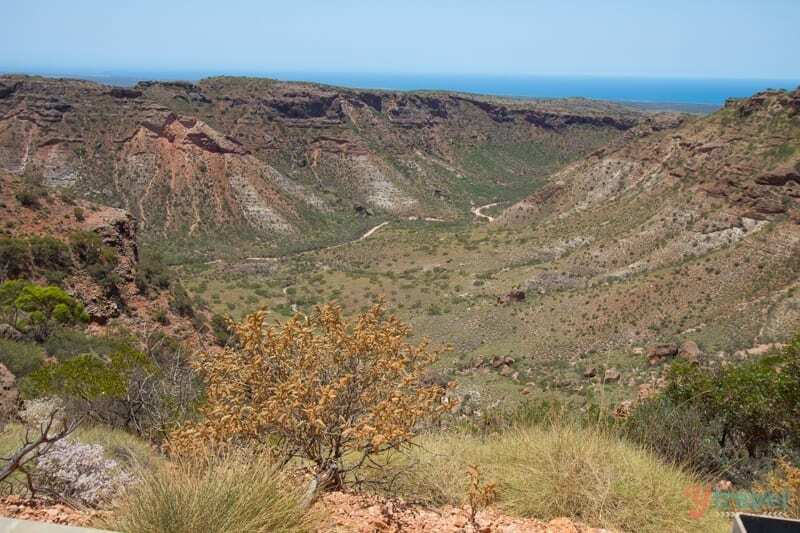 We decided to hike the 1-hour return Yardie Gorge Trail along the cliffs which offered brilliant views. We didn’t spot any of the local rock wallabies but the views were spectacular. The only downer was the pesky flies, and I mean they were pesky, and a lot of them. Besides dealing with the flies, it can get very HOT here so best to walk early in the morning and bring adequate fluids. This drive was totally unexpected and we felt like we were back in the south-west USA. 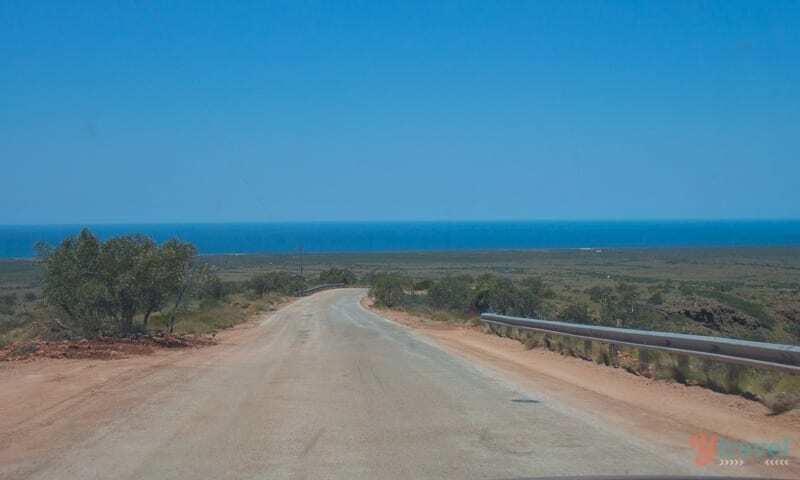 An un-sealed road follows the ridges of Cape Range NP and takes you high up into the sky providing breathtaking views down into the multi-coloured gorges and all the way to the coast. 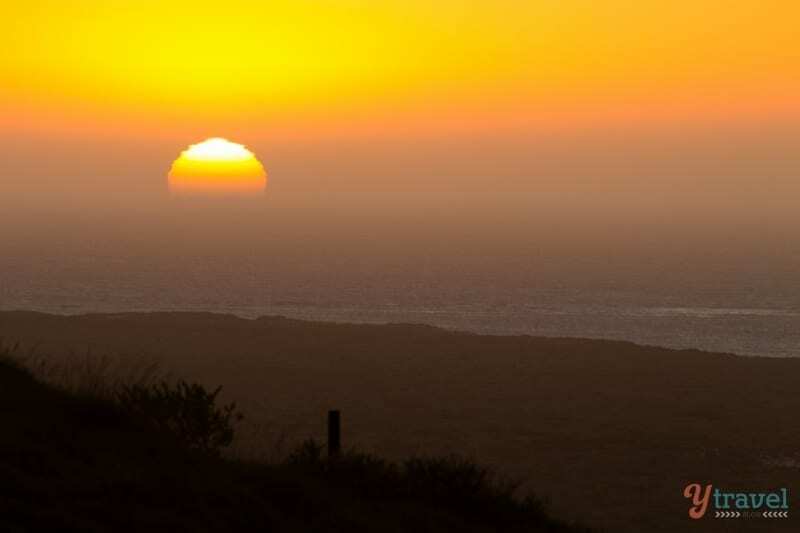 We stopped at several of the lookout points along the way for photo opps and then drove until you can drive no more and then turned around and came back down the hill. No need to have a 4wd, our 2wd handled it no worries! 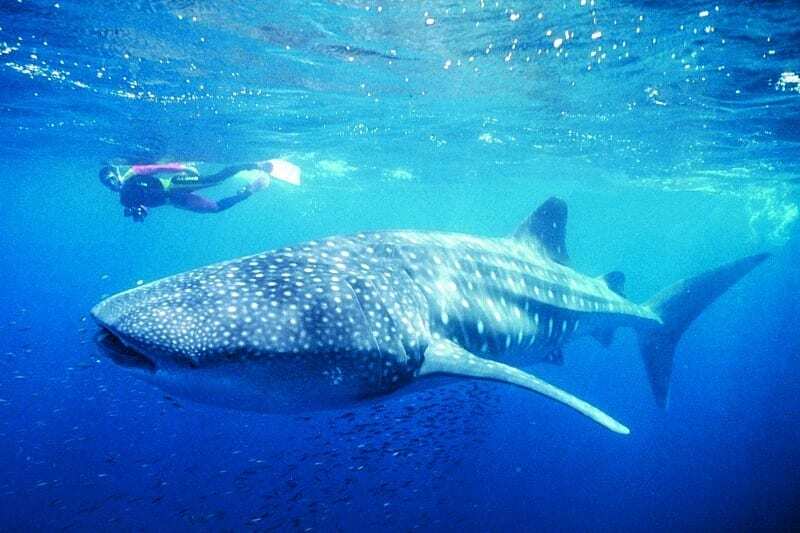 Exmouth is famous for being a place where you can swim with the incredible whale sharks, the world’s biggest fish. These massive but harmless to humans filter feeders can grow up to 18m long. The chance to snorkel with the whale sharks was one of our bucket list items for our road trip around Australia, but because this is a seasonal experience and we are on an 18 month road trip around our MASSIVE country, it’s so hard to be in the right place at the right time for every experience. 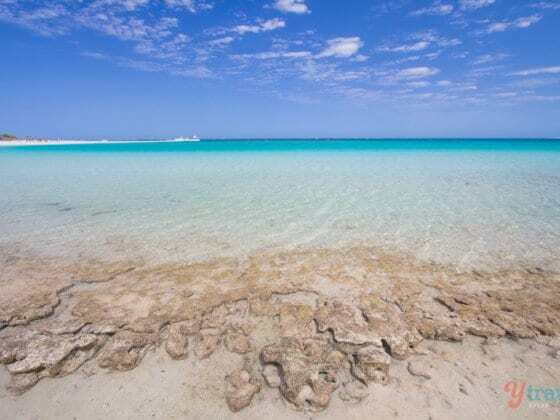 Every year from April to July they congregate along the Ningaloo Reef and unfortunately we were out of season and it’s one of those moments we’ll have to save for later. 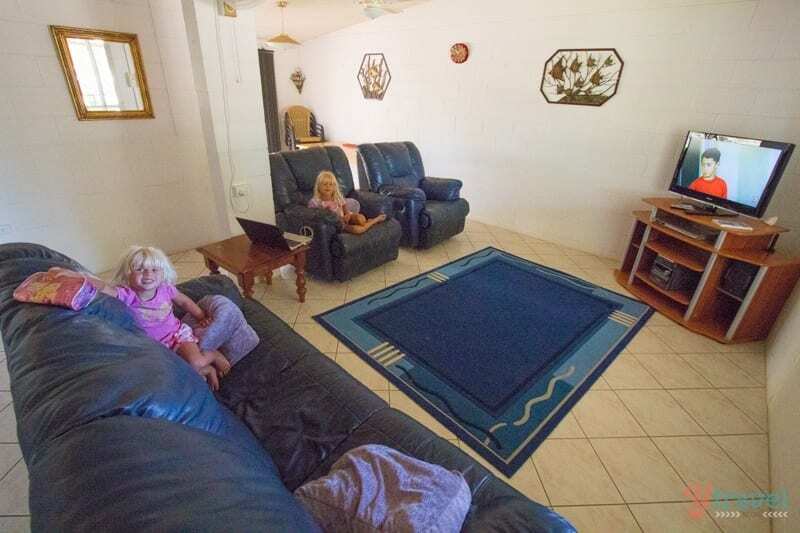 We stayed in a holiday home found on Airbnb which has fast become our new favourite site for booking homes and apartments throughout Australia. 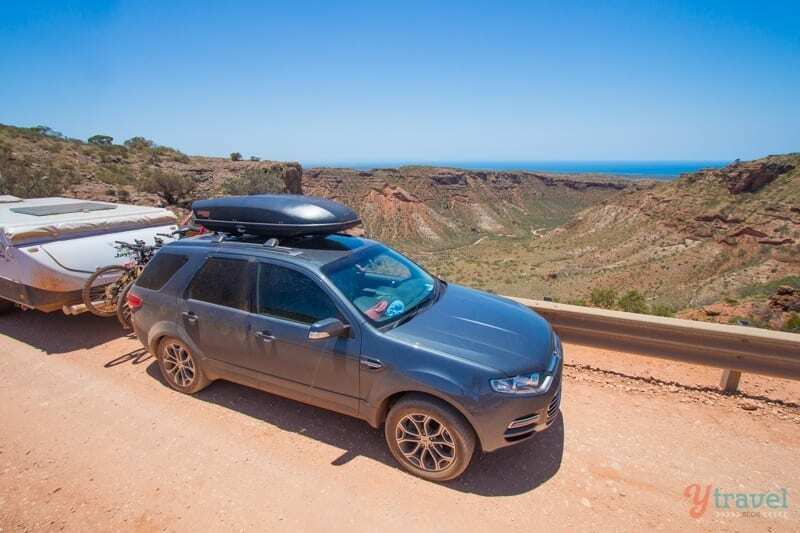 If you’ve been following our road trip around Australia, more often than not we call home our 5×3 camper trailer. Not only is it our sleeping quarters, but home office and classroom for Kalyra. Things get a little cramped in there. When we can we like to upgrade to a little more comfort and space with a full-kitchen, our own bathroom, separate bedrooms for the kids, and a dining room to use as an office. 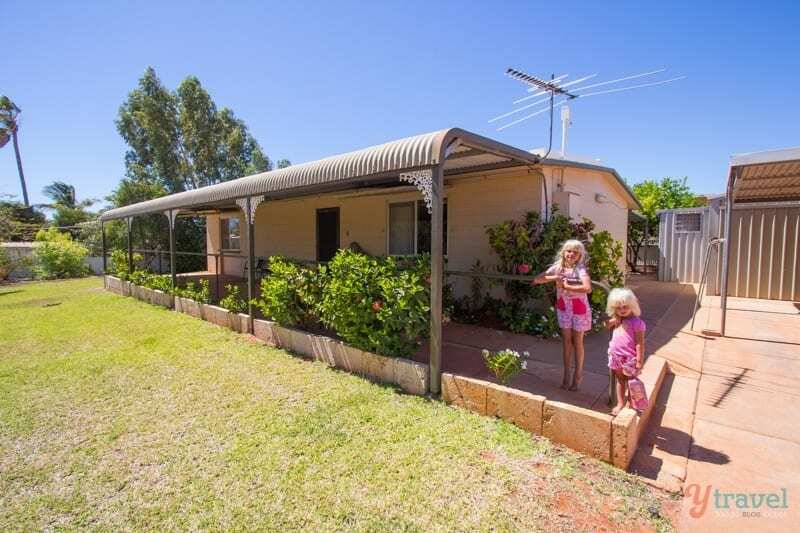 Our rustic cottage in Exmouth slept up to 6 people and was an easy walk to the main shopping centre in town and proved to be a great base for us. Kalyra was especially excited as she got to have her friend Maddie sleep over for the night who is also traveling around Australia, and we all had a fun Halloween party on the spacious back patio. Many thanks to our partnership with airbnb who are helping to keep us sane on the road. BONUS – We’ve got a $32 credit for you when you sign up to Airbnb via this link! 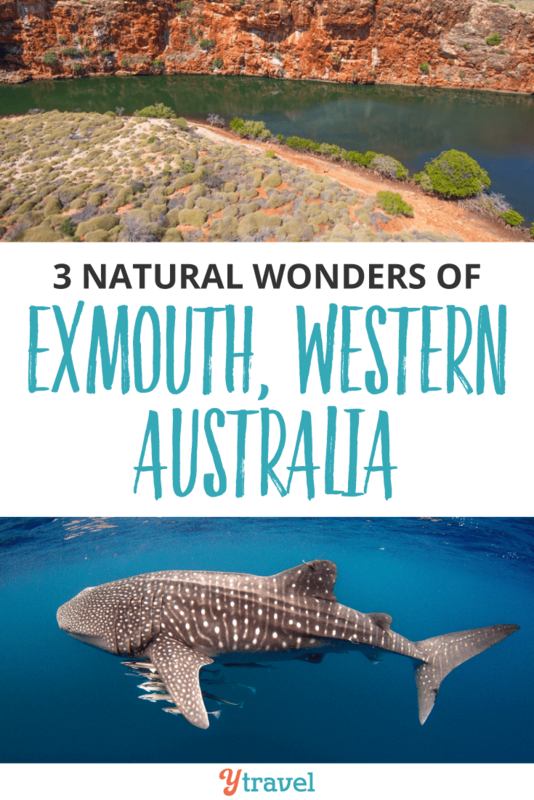 Have you visited Exmouth? What activities or tours can you recommend? 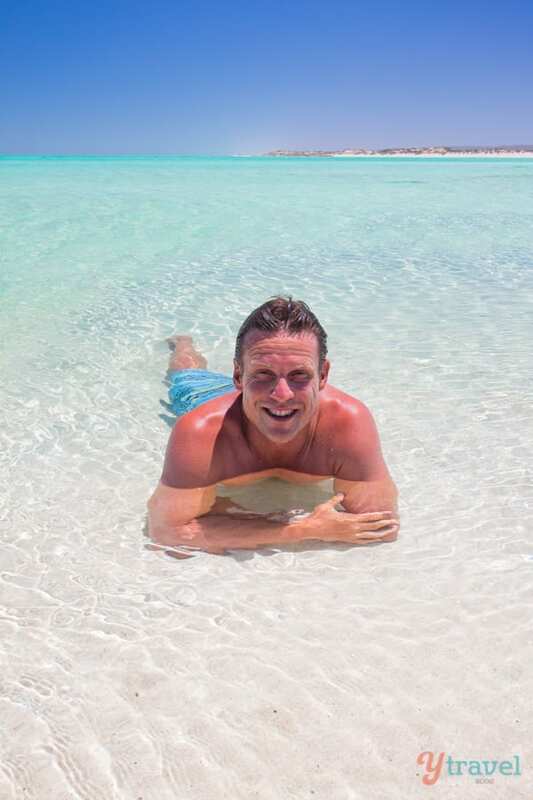 Hi Craig, this is a great round-up of Exmouth’s highlights! The colours in your photos are beautiful. 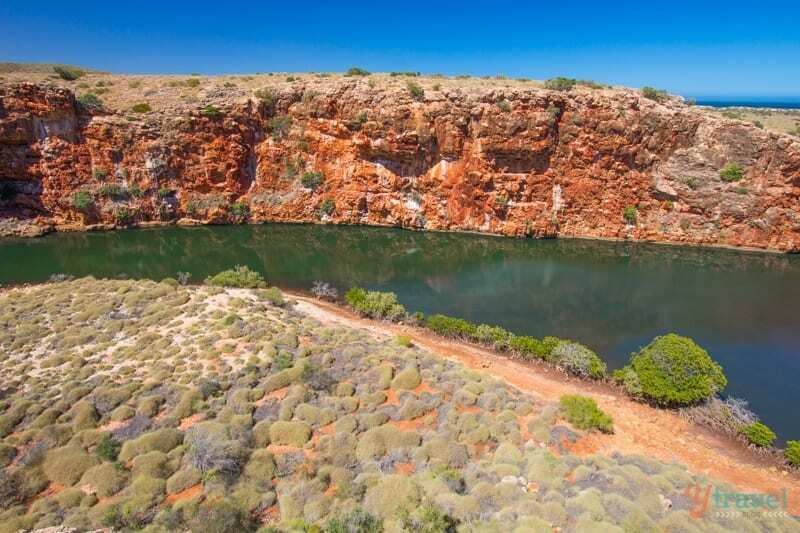 I can’t wait to go back to Ningaloo and Karijini later this year. 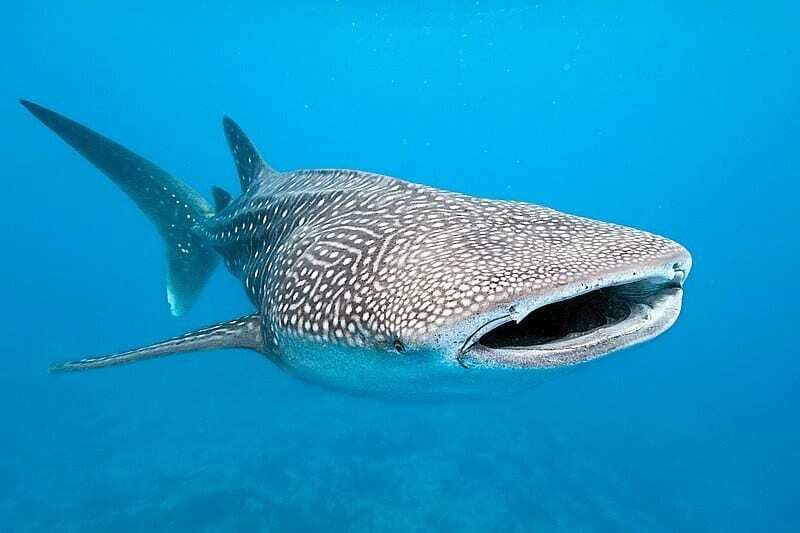 If you ever go back, try to make it during the whale shark season and go swimming with them, it’s an amazing unforgettable experience… but then again with all the travel you do maybe you’ll end up swimming with them somewhere else in the world one day. I know Bonny, we were so bummed we missed the whale shark season. It does sound and look amazing. But that’s ok, we can revisit as we’ll definitely be back in WA! We haven’t been up as far as Exmouth yet, but your post has me itching to go – though in whale shark season. 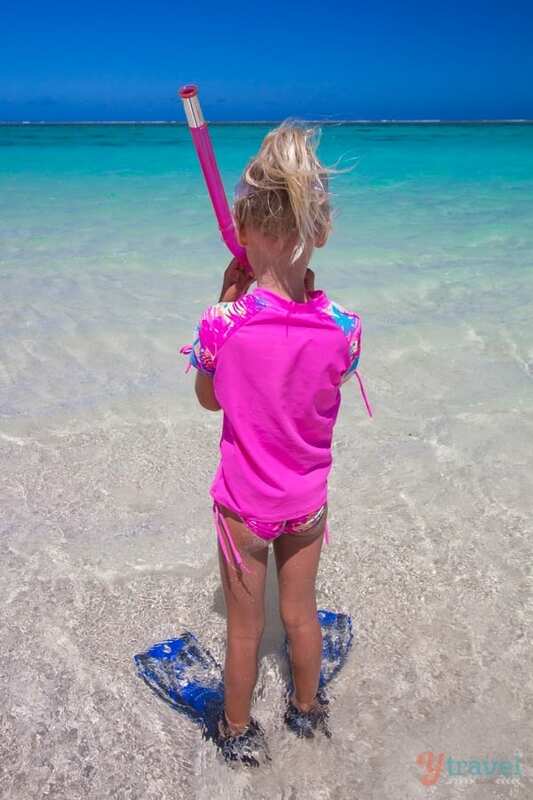 The colours on your photos are absolutely stunning, and what some beautiful memories you’re all creating together – one day when they are much older the girls will look back on your trip with enormous pride and great nostalgia. Btw. Your posts recently have totally swayed me towards using Airbnb. Really enjoying the variety and value of places on Airbnb Jo. Have been perfect for us as a family versus say a hotel room. 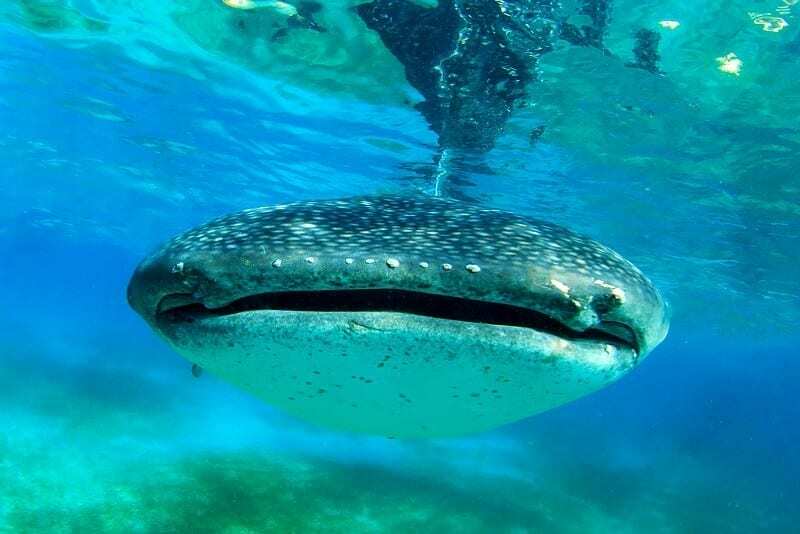 Yes, we both must go to Exmouth in Whale Shark season, although the region is stunningly beautiful at any time. That’s a great reason for you to revisit Western Australia Helena. 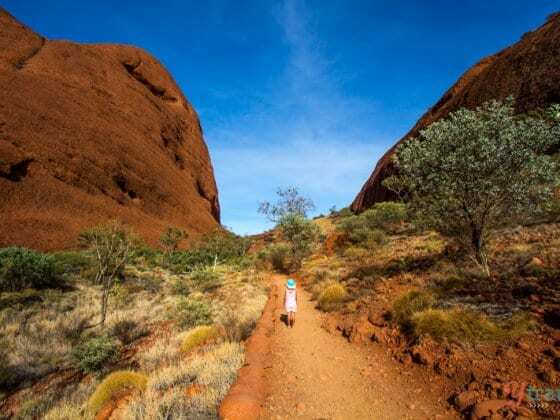 A lady did a travel blog on Australia but currently living in New Zealand .Even though she absolutely loves New Zealand ,she said that no country can beat the colours of Australia.Western australia certainly is so colourful.loved your photos.Iam so proud of you both travelling Australia. Lived there over 40 yrs ago when my husband was stationed at H.E.Holt. Wonderful place to begin our married life. Our oldest son was born there! Would love to return for an “extended” vacation.